Yesterday I got out one of the wonderful Polwarth fleeces I imported from New Zealand where they are able to produce some of the finest and highest quality wool in the entire world. The Polwarth is not a rare breed but its fleece certainly has enough wonderful characteristic to make it a favorite among hand spinners, knitters and those who wear their creations. It is a dual-purpose sheep, developed in Victoria, Australia in 1880; they were first introduced into New Zealand in 1932. 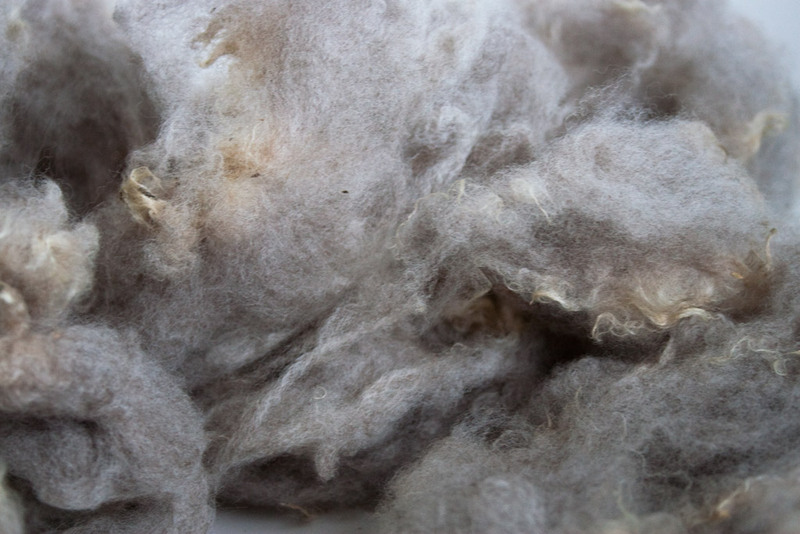 It has been crossbred to 75 percent Merino and 25 percent Lincoln. Polwarth wool is similar to Merino in softness but has a longer staple length and more sheen or luster. It is fine and soft, suitable for knitted or woven garments, knitting yarns and apparel, baby clothing and fine fibre blends that can easily be worn next to the skin. 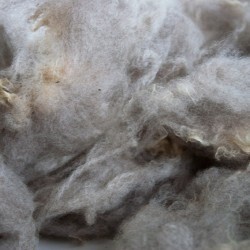 Polwarth wool is also excellent for felting. The fibers average about 23 microns and the staple length approx. 7.5-11cm (3-4.5in). 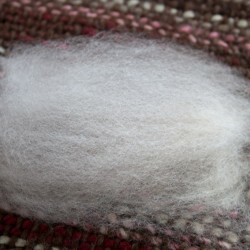 For the handspinner Polwarth fleece is a dream to spin. The softness combined with the longer fiber length and luster allow us the maximum pleasure and possibilities for preparation method, spinning technique and finished product for yarn or final garment. Because it is a medium length staple I was able to choose between woolen or worsted method for my preparation before spinning. This decision had to be made even before I washed it as there are different washing methods depending on whether one will be carding, combing or flicking the locks to open them for hand spinning. I decided that since I could do either, I would do some of each. 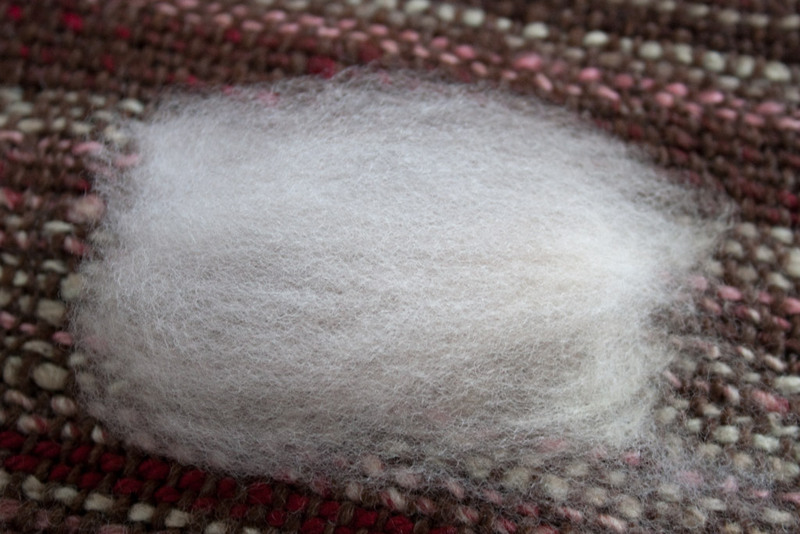 A woolen yarn is airy and light, usually fuzzier with fibers going every which way and trapping lots of air. Woolen yarn is very warm but, in general, not as durable as a worsted yarn. The fibers are of various lengths and are carded to intentionally mix them up. It is spun by a method which should wrap this net of fibers around large pockets of air. The resulting yarn is light and springy. also rids the prepared wool of any shorter or broken pieces as well as all chaff and vegetable matter. The yarn is spun with the intention of keeping the individual fibers parallel, straight and smooth without any fuzzy texture. The resulting yarn is higher in luster and usually feels softer to the touch because there are less ends sticking out. It will be stronger, more durable, smoother and elastic if spun with the correct technique. I washed the fleece sections that I intended to spin into a woolen yarn in a large pot full of very very hot water and detergent (I used liquid Tide). I let it sit in the water for about an hour, squeezed out as much soapy water as I could gently, then carefully put it into another pot of clear *same temperature* water to rinse. I like to rinse until the water comes clean but it won’t hurt to leave a bit of detergent in the fiber as you will be washing your yarn when it is finished. This is similar to the way I wash in the machine. See this post. I rolled the wool in a thick towel and applied pressure to draw out some of the water and spread the fleece on an old sheet to dry. I think this is important enough to have its own page (here) but I’ll give a summary on this one. There are several popular methods for washing individual locks of wool for worsted spinning but the one I find most efficient and appealing to me I learned from Judith MacKenzie. You can find her books & DVD’s at Interweave Press. Three Bags Full would be the one with this information in it. What a wonderful woman and oh, so knowledgable! I really enjoyed these videos. Individual locks are pulled from the fleece intact, sorted & laid out on an old piece of cloth side by side and tip to tip. They are then folded and immersed in soapy water, simmered on the stove, cooled and rinsed under the tap. Simply amazing results, see my pictures below. THANK YOU JUDITH! Now, to do some spinning and I’ll get back to you with the results. Folding locks of Polwarth fleece in cotton cloth for washing. Polwarth fleece washed for woolen method in pot of hot water and detergent. So happy to be of some help. Let me know how it goes.